EARLIER TODAY, FINE Gael TD Brian Walsh confirmed that he will not be supporting the Protection of Life during Pregnancy Bill in an email to colleagues and has also said that as many as 10 parliamentary party members will oppose the bill. In the email, obtained by TheJournal.ie, Walsh says that while there are elements of the bill – which will legislate for the Supreme Court verdict in the X Case – that he welcomes, he cannot support it based on some of the concerns he previously highlighted. Speaking to RTÉ’s News at One a short time ago, Walsh said he had “no doubt” that there would be further opposition to the legislation and suggested around 10 members of the parliamentary would oppose it. “I am sure there are others who will oppose it,” saying that members are being “forced to choose between their conscience and their livelihoods”. Walsh had previously raised concerns with the suicide element of the bill whereby a woman is entitled to abortion in circumstances where her life is a risk because of a threat of suicide. These concerns have not been allayed by the publication of the bill. 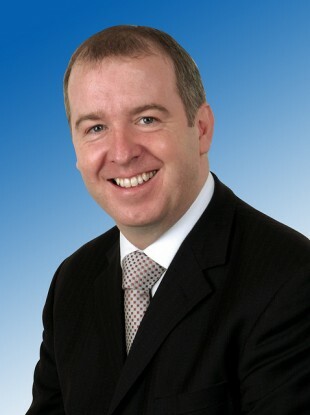 The Fine Gael deputy is the second TD to indicate he will not support the legislation joining Dublin South TD Peter Mathews. Senator Fidelma Healy-Eames has also said she will not support the legislation. In his email to colleagues, Walsh writes that he has not arrived at the decision lightly having come from a family “steeped in the tradition of Fine Gael”. He says he has the “utmost admiration and respect” for Enda Kenny and does not want his decision to be interpreted as undermining the Taoiseach. He says the decision has also been difficult personally and indicates that it may herald the end of his political career in addition to his now certain expulsion from the parliamentary party for voting against the government whip. Walsh concludes the letter by stating that he hopes the Taoiseach will listen to requests and grant a free vote on the legislation when it comes before the Dáil and Seanad. He adds that he hopes his position with party colleagues will not be compromised by his decision to vote against the legislation. Email “Fine Gael TD says he won’t support abortion bill, and neither will nine others”. Feedback on “Fine Gael TD says he won’t support abortion bill, and neither will nine others”.